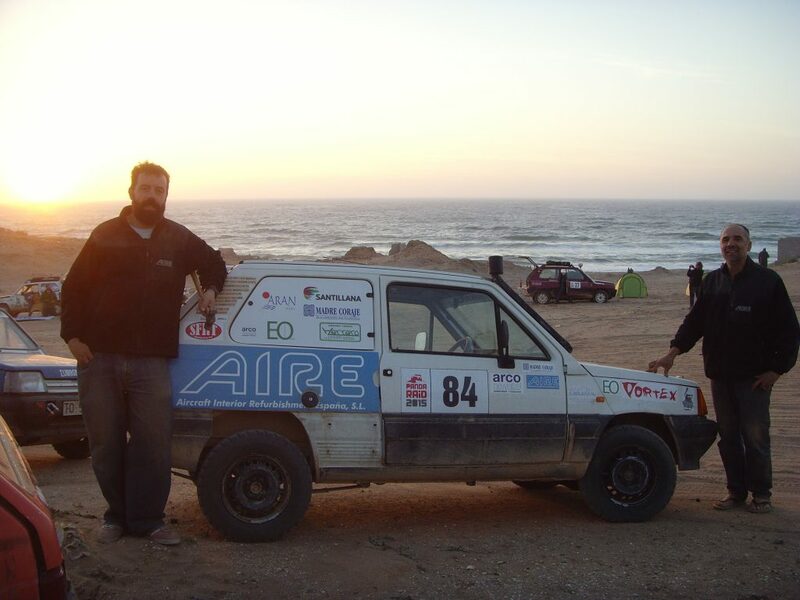 AIRE is proud sponsor of the Superfaba racing team in the 7th edition of the Altruistic Panda Raid. Solidary deed aimed to contribute collaborating in the school development in the south of Morocco. Participants will carry an extra load of 20kg in the first 3 stages of travel composed of school material. The race is an amateur long distance endurance rally that takes place annually, where more than a hundred teams decide to challenge the supreme law of common sense and embark on an old school adventure aboard an old Panda. 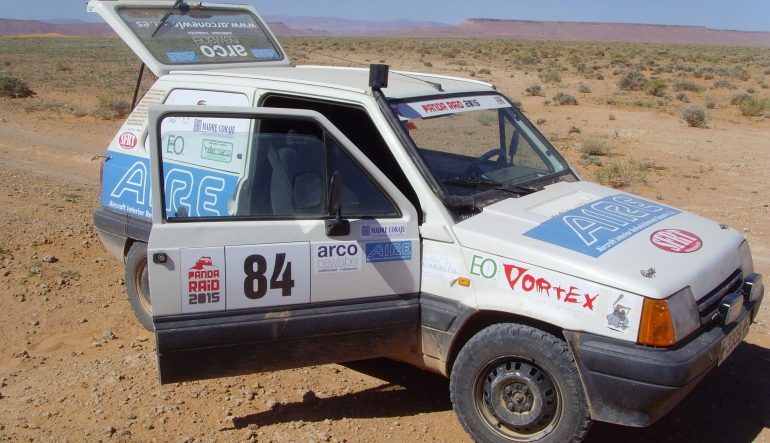 It takes place in Morocco through a 7-stage tour, which in some cases test the physical and mental capacities of the teams, supreme values of a mechanical effort and comrades who intend to leave behind, at least for a few days, the bustle of the civilization and dependence on technology. The important thing is not the time or the speed but to reach the goal and contribute collaborating in the school development. With official departure in the city of Madrid, the route consists of 7 stages along 3000 km to reach the end of the raid in the city of Marrakech where the last stage is held as grand finale. Superfaba´s team is composed of 2 participants: Paco Raya and his brother Jose Luis Raya. Paco has worked for AIRE since 2012 as an aircraft technician in the MRTT program in Airbus.